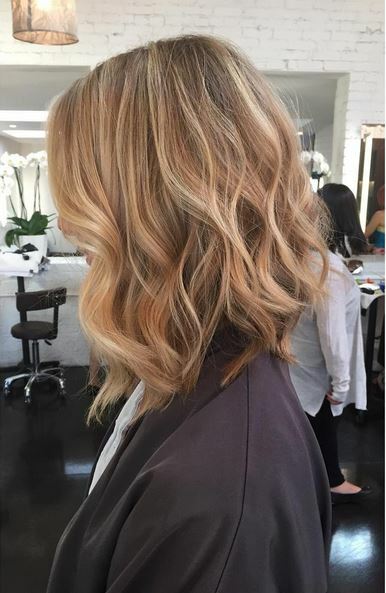 Wheat Blonde – a natural hued, gorgeous shade that is flattering on nearly every skin type. Coupled with a textured cut and style, this hair is phenomenal! Color by Dani Hernandez. Cut and style by Tami Jensen.